Mike and I have a spare room that we originally intended as an office. There’s a row of extremely tall shelves and a wall to wall built in desk. It’s pretty nice but we never use it because we like hanging out at our giant kitchen table when we work. So, sadly, the “office” has turned into a spare room where we banish all the things that we want to keep out of sight. It’s seriously becoming a problem. Every month or so, we say to ourselves, let’s clean out the spare room. And we do, but then, inevitably, things get a little messy…I almost wish it didn’t exist but at the same time, it’s really convenient to have random storage space where you don’t have to keep absolutely perfectly organized. I’m usually the one stressing about it but Mike always tells me, don’t worry, it’s just a messy room. And I think that’s a pretty good lesson: it’s just a messy room and in the end, who really cares? My mental anguish could be so much better spent…like on Yorkshire puddings. Just kidding, I do have more in my mind than just Yorkies. Or do I? 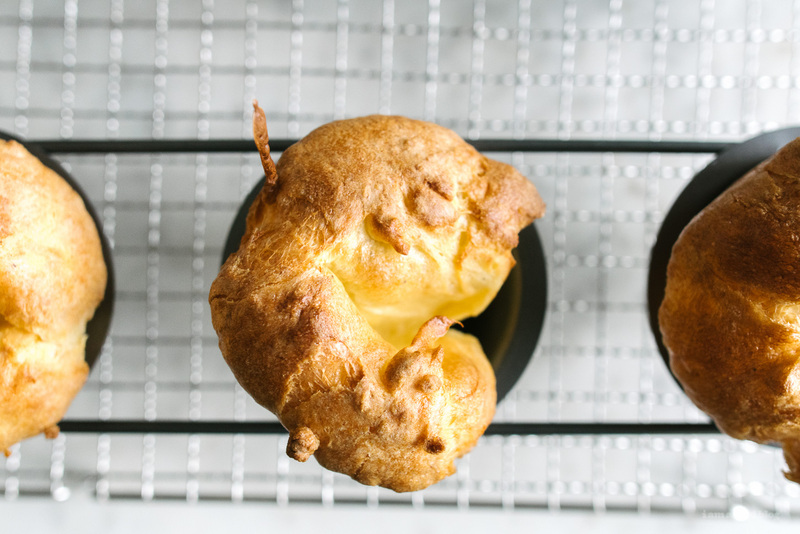 I mean, Yorkshires bring up some serious questions, like what is the difference between Yorkshire puddings and popovers? Aren’t they just the same batter, but with just a touch of difference in how they’re made: butter vs beef drippings? Essentially, they’re the same. And, really, aren’t we all the same inside? 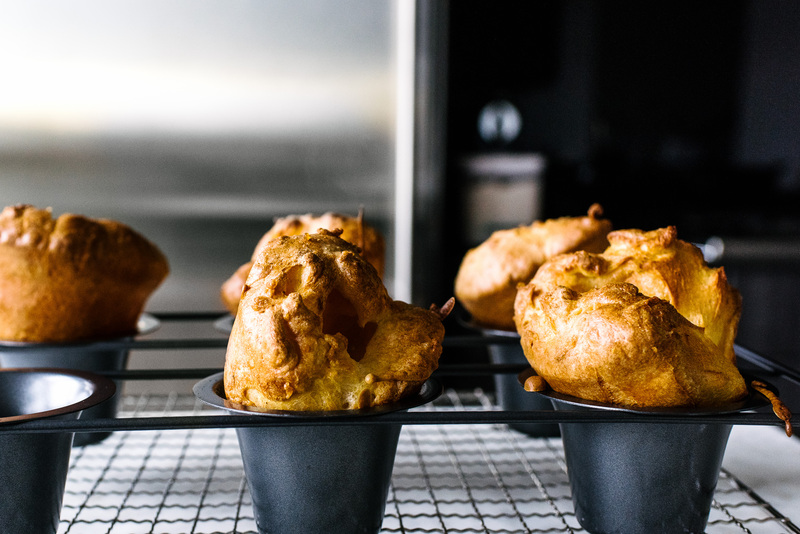 And with that deep thought, I hope you give these Yorkshire puddings/popovers a try. The key to getting really tall and fluffy ones is to heat up your butter/oil/beef fat inside the pan in the oven for a good long time before pouring in the batter. Oh, and using a spoon to catch the drips between pours is helpful too! 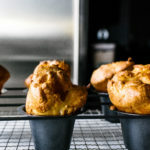 Since this was only my second time making Yorkshire puddings, I followed the recipe to a T. I used a kitchen scale to weigh out the flour and milk. This is the pan I used. I feel like it really helped my Yorkies come out tall and fluffy! Preheat the oven to 425°F. 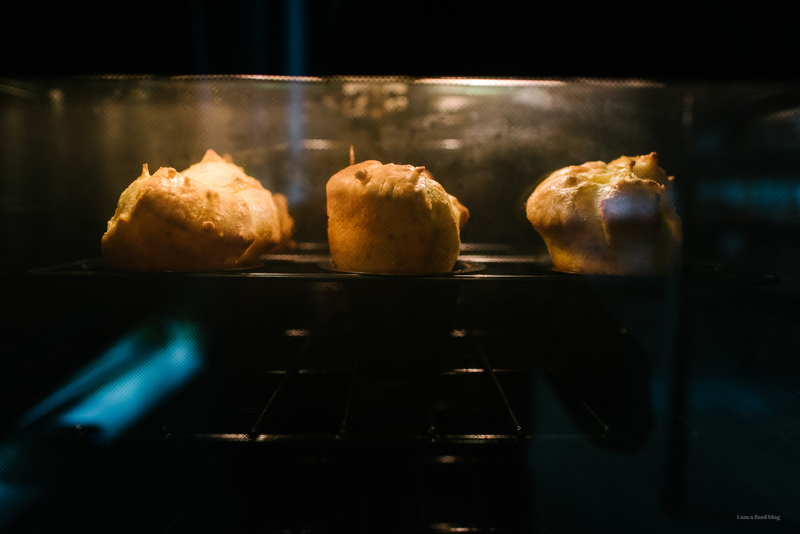 Add a splash of oil into each well of your popover or muffin tin and place in the oven to heat up the oil, about 15 minutes. While the oil is heating, lightly beat your eggs in a large bowl. Beat in the milk, then sift in the flour and whisk until smooth. Season with a pinch of salt and freshly ground pepper. 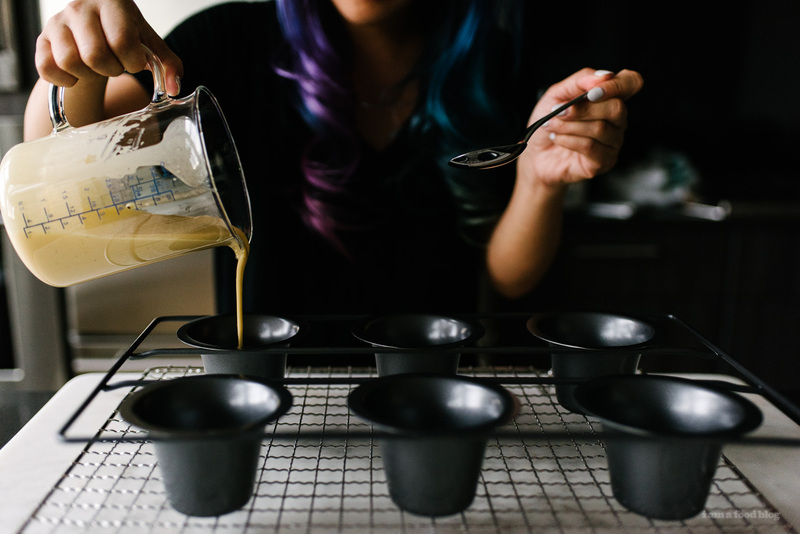 Pour the batter into a liquid measuring cup. If you have the time, let your batter rest for 1 hour, if not, they’ll still rise and be puffy. Remove the pan with the hot oil and place on a safe, heat proof surface. Pour an even amount of batter into each well. Place the tray back in the oven and bake for 12-15 minutes, until tall, puffy, and deeply golden. Let cool slightly and enjoy hot! We called our junk room “the room of requirements”. We finally purged it and set it up a another guest room but it took a long time! Ha! 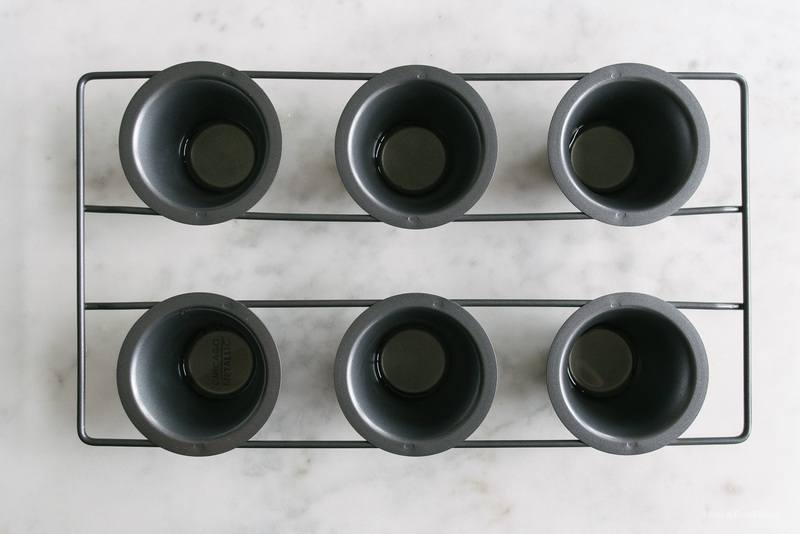 These popovers look super fun! I have never tried them! I made these for our English roast style thanksgiving and they were AMAZING! I’ve had pretty sketchy results with yorkshire puds in the past, but these were picture perfect. Thank you! Could this work in a regular muffin tin? I love Yorkshire puds and yours are the tallest I’ve ever seen! 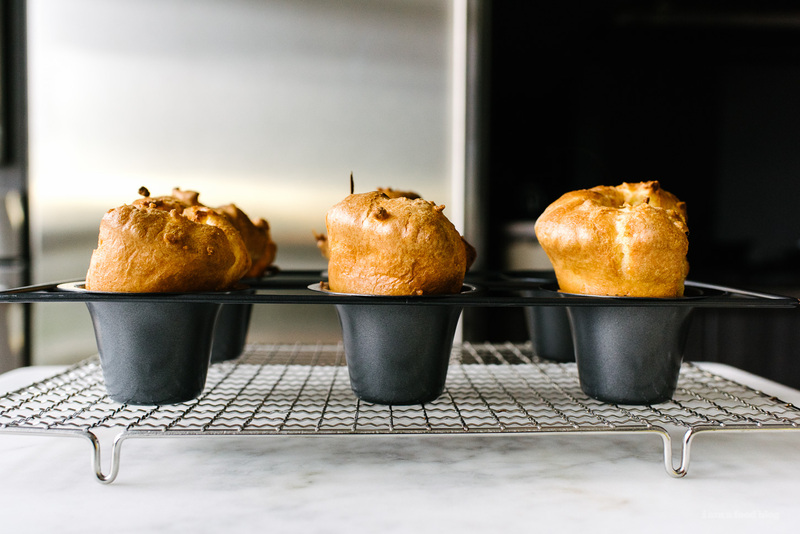 I’ve only ever made them in a muffin tin so clearly I need the taller pans to experiment.